I can sometimes be a commando park aficionado to my own detriment. Rather than rest a bit after the Dark Side Half, I scheduled a bunch of Magic Kingdom FastPasses and kept on rollin.' This was very much in keeping with my philosophies but not with my energy levels, and by early afternoon I was already dragging. Stop #1 was Jock Lindsey's Hangar Bar, where Pat was confused because he is a big Indy fan and Jock Lindsey barely registers with him as even existing. Nevertheless, it was definitely an Indiana Jones-themed bar, so in we went. Much is made of the innards of the bar, what with its many sly winks to the film series, but it was kinda dark and crowded in there and the diving bell booth was already taken, boo. We took seats on the covered patio by the lake instead, and this proved to be very pleasant. Our view included the Boathouse's amphicars coming and going, and we were next to the radio that signals an incoming flight now and again. For my first drink, I selected a seasonal "jocktail" (okay, sure, why not): the Kali Ma Garita. Kali Ma, Pat reminded me, is the Indian prince from Temple of Doom. 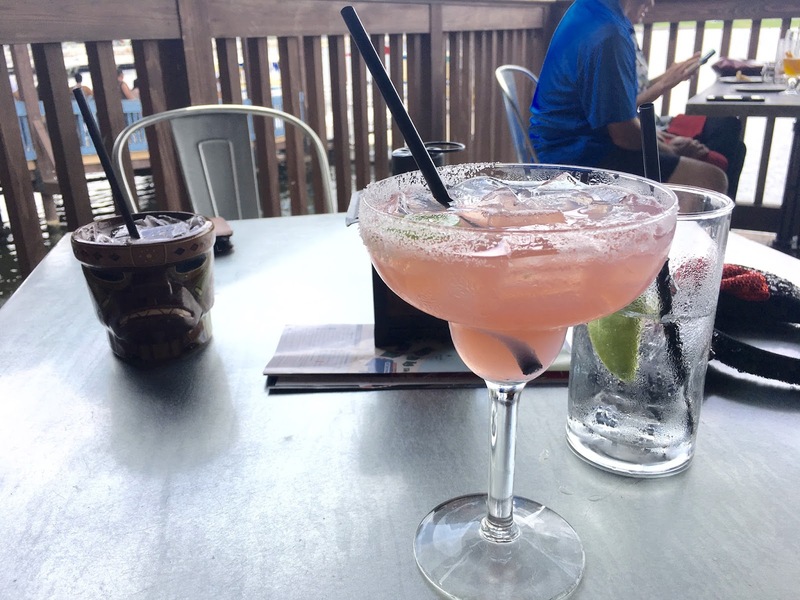 I was more interested in the fact that this drink combined my two favorite types of margarita - jalapeno and watermelon. This was good, but sadly not as spicy as I would've liked. Having perused the menu ahead of time, Pat already knew what he wanted: the Cool-Headed Monkey. I don't know if he cared what was in it; he just wanted to drink it out of the monkey head glass (we were having a Temple sort of day). This drink features rum, tangerine liqueur, and an assortment of fruit juices that sounded promising, but Pat found it to be pretty bland. At least he got his glass! Upon the return of our waitress, I grilled her a bit about my next drink selection; given my enjoyment of spicy, she suggested an Anything Goes. Spiked with "fire dragon spirit," she promised it would be sufficiently picante. I don't know what fire dragon spirit is, but I know this drink was awesome, tempered with fruit juices and pretty to boot. Would order again! Pat ordered his second drink, the Reggie's Revenge, on the strength of the Midori melon liqueur alone. Helped along by orange vodka, lime juice, and white cranberry juice, this one was a hit as well. We chose to skip food here, instead picking up the check and heading over to Frontera Cocina. 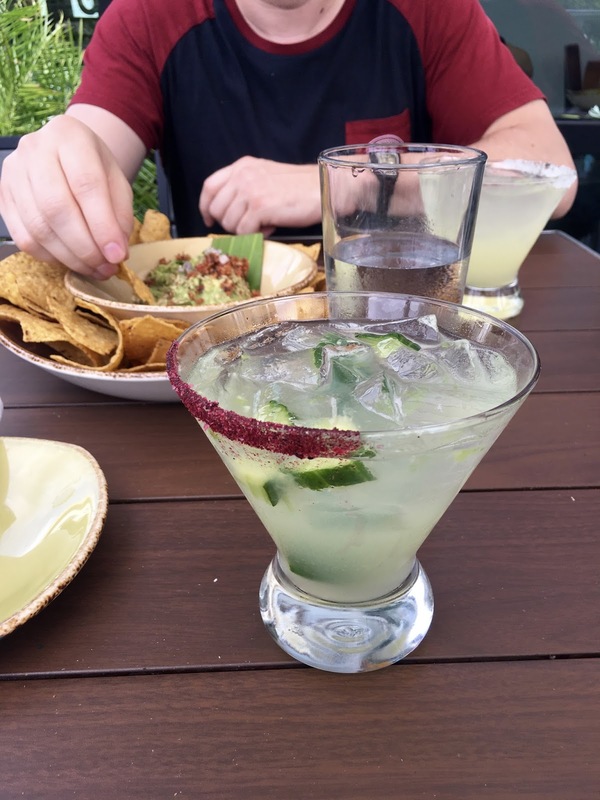 Pat got a standard house margarita, but I kept my personal theme going and ordered the "Play with Fire," a margarita featuring cucumber and jalapeno and my choice of tequila or mezcal; I went with tequila as I'm not a huge mezcal fan. This was good but no better than my local place, which does the same for half the cost. It was definitely half past food time, so we got some bacon guacamole to share, which was well-balanced and delicious if you're as obsessed with avocado as I am. Pat also enjoyed some chicken tostadas while I munched on a surprisingly elevated Caesar salad that included such unusual ingredients as avocado (never too much! ), caramelized onions, Cotija cheese, and chipotle lime dressing. But not Jaleo. I can walk to a Jaleo from my apartment. Take that, Disney Springs! 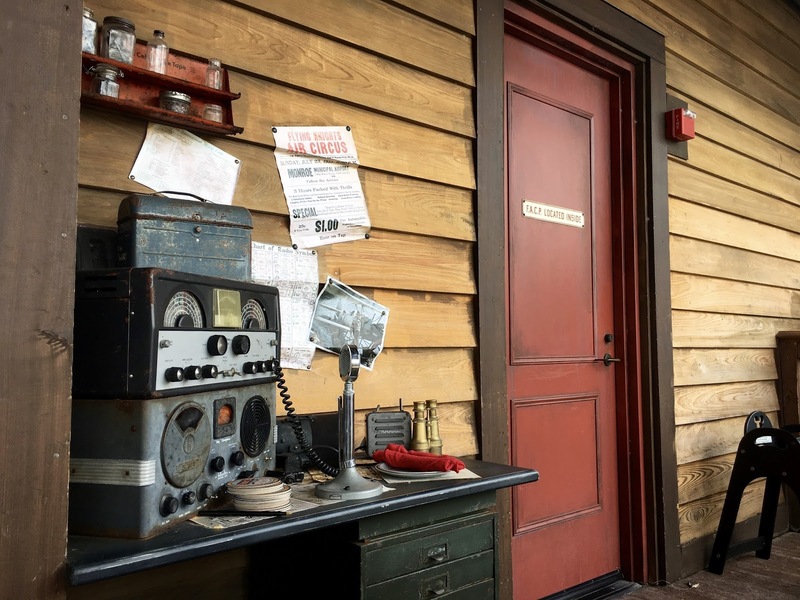 What are your favorite Disney Springs restaurants? Can you walk to a Jaleo already? 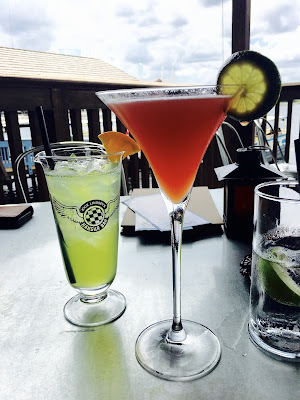 I'm hoping to do a Disney Springs bar hop in September... I definitely want to try Jock Lindsay's! I really liked the Anything Goes!